If you are having problems with your Google Home, Google Home Mini or Google Home Max, it might be time to reset it to help it regain its mind. The steps are simple and the process doesn't take long at all; you should have a happily working Google Home device in less than a minute. Why Should I Reset My Google Home Device? A factory reset is reserved either for selling the device or troubleshooting persistent problems with the Google Home. One common reason to reset the device is if you are selling your Google Home device or returning it to the store. 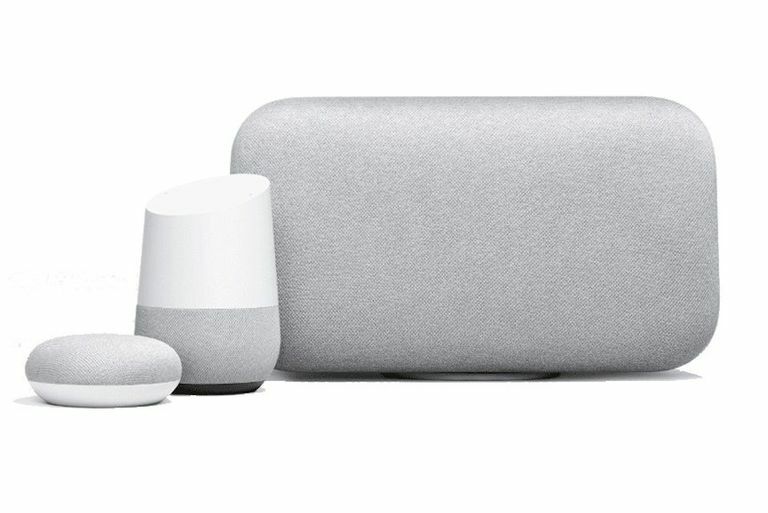 Resetting any Google Home device will delete your personal information, including account information. Another reason to reset Google Home is when you are experiencing frequent connectivity issues or if the Google Home randomly reboots itself. In that case, you should try rebooting the device before performing a Google Home reset. To reboot, just unplug the Google Home, waiting a few seconds, and then plug it back into the outlet. If you just want to rename the device, sign into a different Wi-Fi network, change the account you are using with Google, Pandora, Spotify (etc. ), or configure smart home devices, you can do so using the Google Home app for Android or for iOS. This is the app you installed to set up the Google Home. You can usually reset the device and restore it to just-out-of-the-box condition by holding down the factory data reset (FDR) button. A factory data reset erases all data stored on the device, including settings and any personal data. You can't use your voice or the Google Home app to factory reset any Google Home device. The Google Home Mini has a dedicated FDR button on the bottom of the device. Look for it just below the power plug; you'll notice a simple round circle. Press the button down for about 12-15 seconds to reset the Google Home Mini. You'll hear the Assistant confirm it is resetting the device. Lift up. Your device is now reset. The Google Home does not have a dedicated FDR button. Instead, it uses the Microphone On/Off button for this purpose. As with the Home Mini, hold the button down for 12-15 seconds. You'll hear the Assistant confirm it is resetting the device; then you can lift up off the button. Similar to the Home Mini, the Max has a dedicated FDR button. It is located to the right of the power plug. Hold it down for 12-15 seconds to reset the device. You'll hear the Assistant confirm it is resetting the device; then you can lift up off the button. After you reset your Google Home, you can set it up again just as you did when it was fresh out of the box. When you boot the Google Home app on your smartphone, you will be prompted that a new Google Home device has been detected. Tap the notification to begin the Google Home setup process.